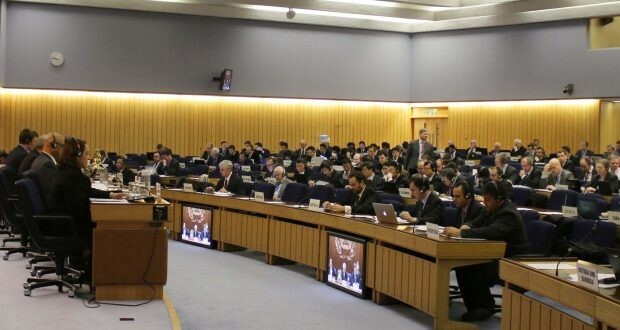 IMO will held its Maritime Safety Committee, 98th Session, next week from June 7 to 16, 2017 in London, IMO Headquarters to discuss latest developments with respect to maritime safety-related issues. Among many issues under review, MSC 98, will put forward the proposal for Guidelines on maritime cyber risk management. In particular, the MSC will discuss issues relating to cyber security and is expected to approve a joint MSC-FAL circular on Guidelines on maritime cyber risk management, based on the interim guidelines on guidelines on maritime cyber risk management (MSC.1/Circ.1526), following the recent approval of the circular by the Facilitation Committee. • Approve draft guidelines on safety during abandon ship drills using lifeboats and draft amendments to update the Guidelines for developing operation and maintenance manuals for lifeboat systems (MSC.1/Circ.1205). • Approve draft MSC Circular on amendments to MSC.1/Circ.1503 on ECDIS – Guidance for good practice. • Approve draft Guidelines for port State control officers on certification of seafarers, hours of rest and manning and refer it to the Sub-committee on Implementation of IMO Instruments (III 4) for inclusion in the ongoing work on the revision of resolution A.1052(27) on Procedures for port State control, 2011. • Approve draft guidelines for vessels and units with dynamic positioning (DP) systems. • Approve draft escape route signs and equipment location markings, together with the associated draft Assembly resolution, with a view to subsequent adoption by the IMO Assembly. The symbols reflect the international standard ISO 24409 2:2014. • A set of draft amendments to SOLAS chapter II-1, relating to subdivision and damage stability. This has followed a substantive review of SOLAS chapter II-1, focusing in particular on passenger ships. Also up for adoption are the draft Revised Explanatory Notes to SOLAS chapter II-1 subdivision and damage stability regulations. The MSC is also expected to approve revised guidance for watertight doors on passenger ships which may be opened during navigation. • Draft amendments to SOLAS regulation II-2/3.56, relating to the definition of vehicle carrier and draft new SOLAS regulation II-2/20.2 on fire safety requirements for cargo spaces containing vehicles with fuel in their tanks for their own propulsion, specifically vehicles which do not use their own propulsion within the cargo space..
• Draft amendments to SOLAS regulation II-2/9.4.1.3 to clarify the requirements for fire integrity of windows on passenger ships carrying not more than 36 passengers and on special purpose ships with more than 60 (but no more than 240) persons on board. • Draft amendments to SOLAS regulations III/1.4, III/30 and III/37 on damage control drills for passenger ships, to require damage control drills to take place on all passenger ships from 2020. Furthermore, the MSC is expected to consider revisions to the Guidelines for Verification of Conformity with Goal-Based Ship Construction Standards, based on the experience gained during the initial verification audits. However, IACS urged IMO earlier this month to confirm that the existing foundations of the GBS verification audit system should not be changed.